Hailing from Soissons, France, New York-based visual artist Michel Auder was a pioneer in employing the video camera as his primary art-making device in the late 60s. Auder was made to join the military at a young age, working as a photographer during the Algerian war. Returning to Paris, he started to make films and later joined a group of filmmakers during the protests of May 1968, a seminal moment for the artist. Arriving in NYC the following year, he began building is expansive archive of footage documenting the social milieu of urban life. Auder’s approach to filming was largely inspired by Andy Warhol’s screen tests, and the experimental films of exponents of the French New Wave like Jean-Luc Godard. Currently on display at Gavin Brown’s enterprise, New York until 24 February 2019, Auder’s new work, Fictional Art Film, is a composite portrait of Auder’s New York art world during the 70’s and 80’s. 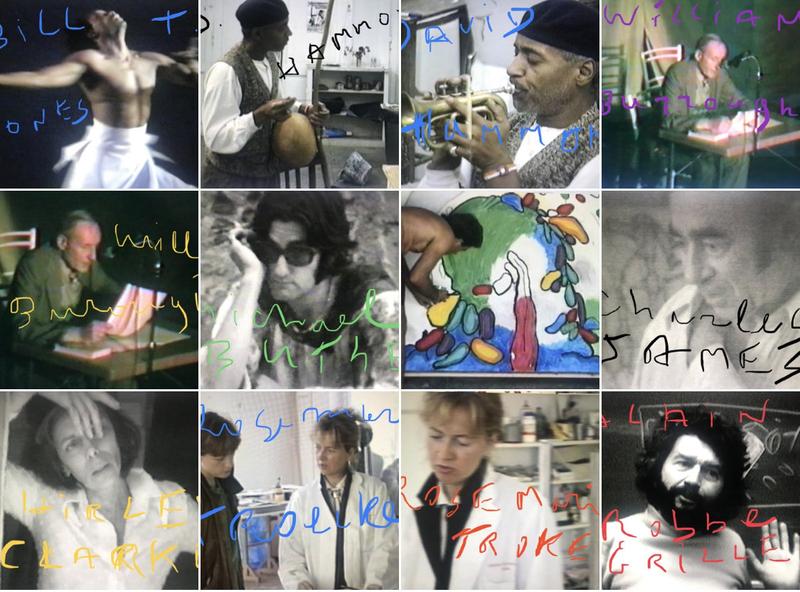 The filmmaker recorded his friends, the artists and writers he spent time with and admired; these now-famous subjects include Neel, Warhol, John Ashbery, David Hammons, Hannah Wilke, Willem de Kooning, and Bill T. Jones, among many others. They are shown here both as people and performers, with Auder’s footage often blurring the line between life and art. The word “fictional,” appearing in the title, seems at first not to fit; so intimate is the artist’s access to his famous, storied subjects, that the film is sweetly demystifying, and thus might in fact feel especially nonfictional. But the passage of time transforms people, and indelibly alters the images retained of them. Fictional Art Film itself is notably dated 2019, although its constituent footage is anywhere from three to five decades old. Those bygone years, to Auder, are an impassible gulf between the events and personages themselves and his modern-day memories thereof. Auder has been a faculty member at Yale University School of Art since 2005, and has participated at Documenta and the Whitney Biennial on multiple occasions.